Miniature parachute U.S. Fighter Pilot [MPC-009] - $19.50 : Metalcraft by Blair - military gifts and memoribilia. 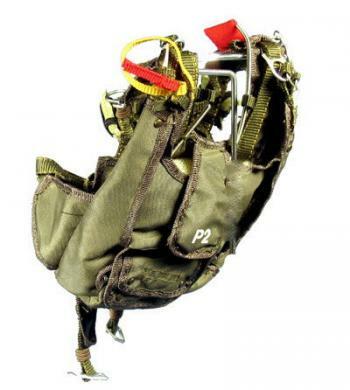 This style parachute is used by the modern fighter pilots. When mounted on a plaque this is a gift you will be proud to give or recieve. We have several other styles available. I can mount this on the base of your choice, see plaques for presentations already applied.